A proper new cover this time, with The Sun Makers. As usual, download here and read about the struggle behind its creation here. More to come, hopefully soonish (if that hasn’t just jinxed things). 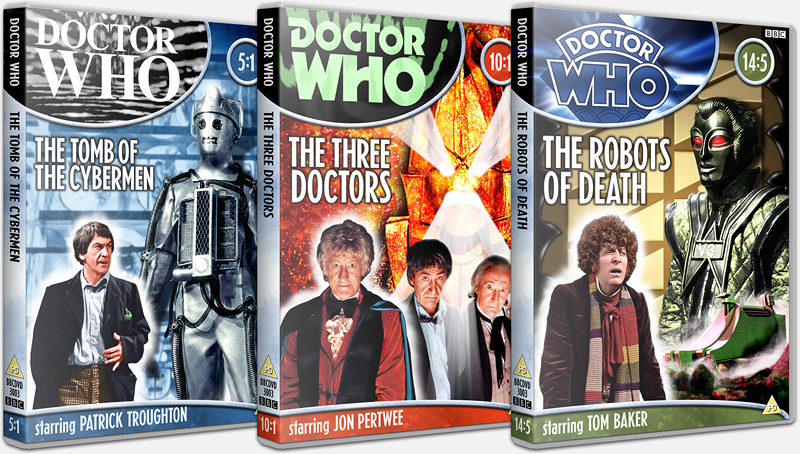 Not new covers, as such, but my revised covers for the three stories in the Revisitations 3 boxset – The Tomb of the Cybermen, The Three Doctors and The Robots of Death – are now available from Velvet Jacket. And click here to read about what’s changed and compare with the originals.